Usain Bolt has had a pretty good run at this year's Olympics — so good, in fact, that he'll surely be called the fastest man alive long after his final moment at the games. The Jamaican runner took home gold in an unprecedented three events: the 100, 200, and the 4x100 meter relay, breezing past his competition with the same effortless air he's become so known for. The Olympian has said that this will be his last time competing in the games before officially retiring (though some aren't buying it), so will Bolt join in at the closing ceremony? His Olympic career certainly deserves to go out with a bang. After all, August 21 was a big day for Bolt — aside from Rio's much-anticipated sendoff to the world's top athletes, it also happened to be the athlete's thirtieth birthday. Celebrating alongside the Jamaican delegation during the closing ceremony would be a fitting end (and an unforgettable birthday present) for the most decorated sprinter of all time. Bolt never officially confirmed on his social media whether or not he had plans to attend the ceremony (he skipped out on Rio's opening celebration earlier this month), but in a recent tweet, the runner seemed to be bidding a fond farewell to the host country. In his native Portuguese, he tweeted: "We came, we saw, we conquered. Rio, I have endless love for you." This tweet likely was the runner's farewell to the country that awarded him three more gold medals to his collection. According to a report from The Daily Mail, The Olympian left Rio prior to the games' closing ceremony in order to celebrate with friends and family in his home of Kingston, Jamaica on Sunday, where he was sure to receive a hero's welcome. But despite missing the final event of the 2020 Olympics, Bolt made sure to leave Rio in a way that seems befitting of the characteristically cheerful, dancing athlete: he took to the stage at a Brazilian nightclub for karaoke with the locals on Saturday night. 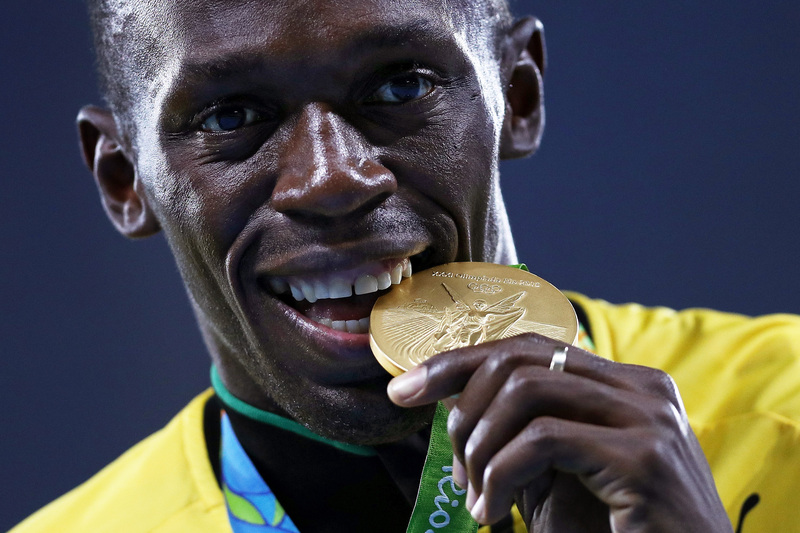 So though Bolt didn't partake in Rio's closing ceremony for his thirtieth birthday, the athlete nevertheless ended his time in the country — and perhaps his career as the most decorated Olympic runner — on a high note.